Lights... Camera... TEACH! : Winter FREEBIE! 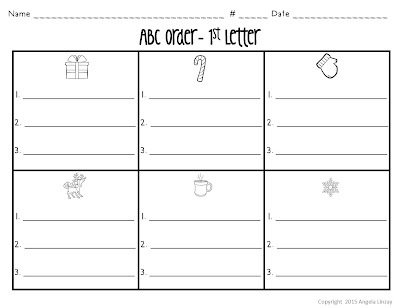 I know that some of you are back at work so I wanted to share a little Winter FREEBIE with you to help you ease back into the classroom this year while your coffee kicks in today. Easing back in for you doesn't mean that your students just color and do packets, either. 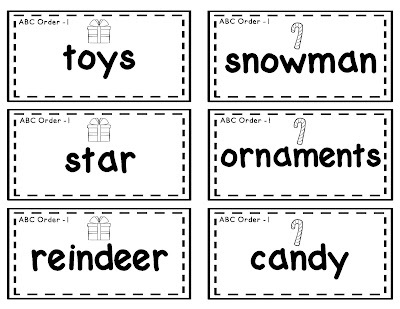 Here is a FREEBIE that will help with reinforcing a skill while your kiddos have fun. They can work in groups, use it in a center, or use it however works best to fit your needs. I've included 3 different levels for alphabetizing: ABC to 1st, 2nd, and 3rd letter. Students alphabetize the cards with the same picture and then write them on the recording sheet with the matching picture. This 18 page FREEBIE includes 6 sets of words for each level plus 3 different recording sheets! Hope you enjoy this FREEEBIE. If so, I would love for you to take just a couple of seconds to leave some feedback. Thanks and have a wonderful 2016! !